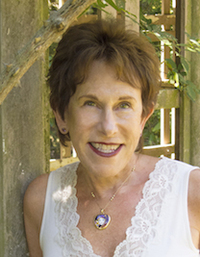 Leslie Rupley, writer and memoir coach, has two books to her credit as well as twelve ghost-written memoirs. 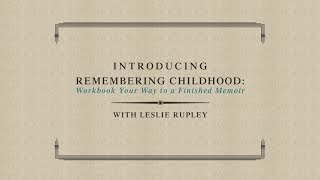 Remembering Childhood: Workbook Your Way to a Finished Memoir (to be released in 2016) offers guidance and inspiration to people who want to begin and finish writing their memoirs. Her meticulously researched debut novel Beyond the Silk Mills (2014) is set in early twentieth century Paterson, NJ. It depicts the lives of Eastern European immigrant families during the famous Paterson Silk Strike of 1913 and beyond to 1929. Leslie began writing vignettes about her own childhood after eight years of publishing memoirs for clients of LTR Productions: Preserving Personal Histories. She realized that she and others could preserve their uniq Leslie Rupley, writer and memoir coach, has two books to her credit as well as twelve ghost-written memoirs. Remembering Childhood: Workbook Your Way to a Finished Memoir (to be released in 2016) offers guidance and inspiration to people who want to begin and finish writing their memoirs. Her meticulously researched debut novel Beyond the Silk Mills (2014) is set in early twentieth century Paterson, NJ. It depicts the lives of Eastern European immigrant families during the famous Paterson Silk Strike of 1913 and beyond to 1929. Leslie began writing vignettes about her own childhood after eight years of publishing memoirs for clients of LTR Productions: Preserving Personal Histories. She realized that she and others could preserve their unique stories of past times for future generations by writing one story at a time. The overwhelming prospect of writing a birth to old age memoir needn’t deter nonprofessional writers from leaving a legacy for their descendants. She expanded her vignettes about childhood to include 70 stories and accompanying prompts as well as Jump-Start Your Memoir videos to encourage and guide future writers and those yearning to complete a collection of personal stories as a form of memoir. Her debut novel, Beyond the Silk Mills, is such a book. Her extensive research about the history of the labor movement and life in the early twentieth century led to the first volume of a family saga that brings the Epstein family from the poverty of the silk mills through the 1918 flu epidemic, WWI, the Roaring Twenties, and finally to the great stock market crash of 1929. Leslie is writing the sequel to the Epstein family saga, Beyond the Silk Mills. Her working title is When the Lights Go On Again, and it will take the family from 1930 through the Jazz Age in Manhattan to the end of WW II. She is a sought-after presenter and teaches workshops for aspiring writers who want to publish their life stories. She and her husband have three grown children and two grandchildren who live near her in the San Francisco Bay Area where she settled in 1968. To ask Leslie Rupley questions, please sign up. As a Board Member of the California Writers Club, Mt. Diablo Chapter I recently volunteered to staff our Booth at the Berkeley Book Festival on June 4, 2017. It was a great opportunity to serve my writers community while enjoying the ambiance of a festival that drew throngs. We’d love your help. Let us know what’s wrong with this preview of A Breath of Snow and Ashes by Diana Gabaldon. We’d love your help. Let us know what’s wrong with this preview of Survivor Café by Elizabeth Rosner. We’d love your help. Let us know what’s wrong with this preview of Eternal Life by Dara Horn. We’d love your help. Let us know what’s wrong with this preview of 4 3 2 1 by Paul Auster. We’d love your help. Let us know what’s wrong with this preview of Outwitting History by Aaron Lansky. For those that love Jewish historical fiction representating as many cultures, countries, and time periods as we can find. A place to share memoirs, biographies, autobiographies (and maybe even fiction-based-in-reality) that you have enjoyed!